For Spanish foreign investment prevails in Africa must take into account the development of local communities, such as he has highlighted Luis Padron, General Director of Casa Africa during his speech at the meeting "Responsible Foreign Investment and Local Development" held this morning in Madrid. During the meeting it was discussed how to combine business opportunities in sub-Saharan Africa, particularly in Angola, and the benefits it can bring to the investment company and for the development of local communities. 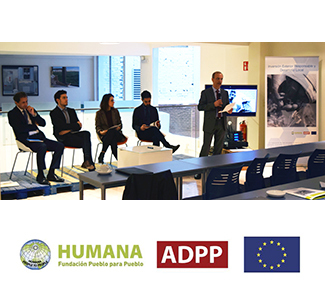 The meeting organized by Humana Fundación Pueblo para Pueblo, has been attended by representatives of a group of companies with interests in Angola, as Nationale Nederlanden, and foundations, such as Red Cross. 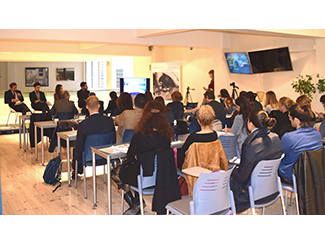 Attendees attentively followed presentations by Marcello Gandolfi, Project Manager of the Fundación Codespa and Ricard Esparza, Professor of Economics and International Project Coordinator Research Park of the Autonomous University of Barcelona (UAB) and the own Luis Padron. The three have highlighted how foreign investment, profitability, CSR and communities make progress possible and necessary equation. 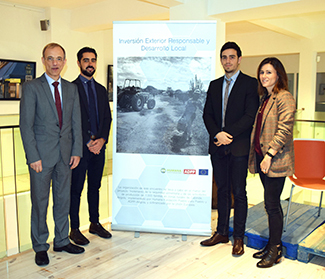 The General Coordinator of Humana Fundación Pueblo para Pueblo, Jesper Wohlert, said: "Responsible business, social enterprises, inclusive value chains, and potential opportunities from the base of the pyramid daily gain greater influence and popularity. The companies know this and realize that integrating social and environmental factors in their strategies are more sustainable and profitable in the long term". Joao Marciano Chilala, Counsellor and Charge d'Affaires of the Embassy of Angola in Spain, meanwhile, stressed that "Angola needs foreign partners to ensure success; You need Spanish business by diversifying its economy because it provides more options for growth, more businesses and more jobs". The Project Director of the Fundación Codespa, Marcello Galdolfi, has analyzed the development of rural markets in sub-Saharan Africa, with special reference to its presence in Angola. He said: "As dedicated to development cooperation economists conceive foreign investment combined with local investment to empower local people to improve their own economy." Gandolfi added that "in partnership with the private sector, we see it as an agent of social innovation". For his part, the representative of the Research Park of UAB, Ricard Esparza, emphasized the importance of collaboration between universities and companies as a model of economic development. He emphasized the value of knowledge transfer between universities and between businesses in order to promote development. Esparza has also stressed the importance of working with local actors, as people rely more on projects implemented when it joins the collaboration between the foreign company and the agents. In fact, this meeting takes place in the framework of the project "Increasing food security and production activities 1,000 rural families in Cabinda, Angola", the Foundation implements today with ADPP-Angola and co-financing of the European Union.